The Huawei Mate 20 Pro in Australia is, without a doubt, the boosted version of “Huawei Mate 20” and it’s a smartphone one would want to focus on. 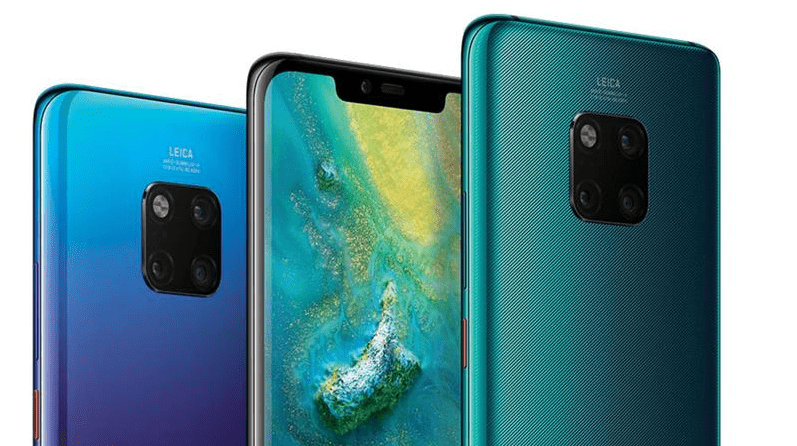 Ahead of its official launch in Australia, Mate 20 Pro has already received lots of appreciations for its eye-catching, unique, fantastic and dreamy design as well as a Leica-tuned camera. But unfortunately, Huawei won’t sell in the United States. Hence, Americans would be out of reach of this great camera system. Yet Huawei hasn’t announced when will it arrive in Australia and New Zealand but here we’ve gathered everything we know in our Huawei Mate 20 Pro review in Australia below. You can also read our Mate 20 review for more details. The Huawei Mate 20 Pro launch date is October 16 worldwide as a couple of weeks back, Chinese firm confirmed it’s hosting an event in London on that date to make an announcement of its Mate 20 Pro. The Huawei Mate 20 Pro in Australia is set for November 1, 2018, with pre-orders open now. That’s all. Talking about Huawei Mate 20 Pro Price in Australia, it will set users back around AU$1599 which is indeed a lot more as compared to Mate 20 which goes for only AU$1099. The higher price of Mate 20 Pro is justified by quite a few premium features which you won’t find in Mate 20. So many of which will improve the overall user experience, undoubtedly. The handset comes with a whopping 6GB of RAM, 128GB of onboard memory, gorgeous and bright 6.39-inches AMOLED screen as well as Huawei’s super-fast and latest Chipset – HiSilicon Kirin 980. Other Huawei Mate 20 Pro specifications in Australia are listed below. The Huawei Mate 20 Pro design is quite impressive thanks to its curved edges on all eight sides and a neat square which sports 3 camera lenses alongside LED Flash, making it stand out from a crowd. The phone comes in 5 jaw-dropping colors – Emerald Green, Midnight Blue, Twilight, Pink Gold and Black. We would recommend Midnight Blue and Emerald Green version boast what’s called a hyper optical pattern on the glass if someone really wants to feel great while holding it in a hand. It’s also IP68 water resistant which means it can be submerged in 1.5 meters of water for more than 30 minutes. The only disappointing factor is, it’s missing a standard 3.5mm headphone jack. Hope, you’re Okay with it. Moving on to Huawei Mate 20 Pro Display department, you’ll see a gorgeous 6.39-inches AMOLED screen which is curved around and having a maximum resolution of 1440 x 3120 pixels with an aspect ratio of 19.5:9. The screen looks sharp, colorful and bright with inky blacks. There is a notch which has the same size as the notch on Apple iPhone XS and unlike Google’s recently announced Google Pixel 3 XL. It’s also a noticeable step up from Mate 20 which is slightly lower at 6.53-inches with an IPS LCD screen with a lower FHD+ resolution. Out of the box, Huawei Mate 20 Pro runs on Android’s latest operating system – Android 9.0 Pie with Huawei’s EMUI 9.0 interface. If you’ve used last year’s Huawei 10 Pro, you’ll know what to expect from an interface standpoint. Now digging down inside, Huawei Mate 20 Pro is backed by Huawei’s super-fast and latest HiSilicon Kirin 980 Chipset which works against Qualcomm Snapdragon 845. It’s based on 7 nanometers whereas Apple has already released Apple iPhone XS with A12 Bionic which is based on 7-nanometer process. The Chipset is coupled with a whopping 6GB of RAM – hence you’ll enjoy exceptional snappy general performance throughout Mate 20 Pro’s OS. And thanks to its machine learning smarts, it’ll feel at its quickest when running your most-used apps. Well, fast performance aside for a short while, Huawei has claimed that HiSilicon Kirin 980 Processor is a lot more power efficient – 57% on a processor side and 178% on a GPU – to be exact. Samsung has revealed a smartphone named Samsung Galaxy A9 2018 with Quad-cameras and LG unveiled five-camera LG V40 ThinQ quite a few days back. Huawei is sticking with a tri-camera configuration on its rear but each camera now has a purpose. The main sensor is 40MP with an aperture of f/1.8 – partnered with an ultra-wide-angle lens with 20MP as well as an 8MP Telephoto lens with built-in optical image stabilization. The extensive amount of MPs means you can expect much and much higher resolution photographs which can pack in way more detail. Out front, you’ll a solid 24MP FaceTime sensor which one can use for both Facial Recognition and selfies. There are several other cameras features such as Panorama, HDR, Geo-Tagging and much more. Inside the beast, there’s a beast. The 4200mAh non-removable battery of Mate 20 Pro is 200mAh bigger as compared to Huawei P20 Pro which sounds impressive accomplishment – considering how thin it feels. The heavy users will go through an entire day with ease whereas a moderate user will get a little more before going to bed. Huawei claims its 40-watt Huawei SuperCharge Technology which will get you up to 70% with a couple of minutes. Do you have a question to ask? We do welcome you to let us know your thoughts and suggestion down in a comment section below. And don’t forget to share it with your loved ones. 8Let’s finish this off by saying Huawei Mate 20 Pro looks like one of the best and excellent premium smartphone in every sense of the word. It’s having a sleek design which outshines Samsung Galaxy Note 9 and Google Pixel 3 and a camera that goes toe-to-toe if not surpass Apple’s and Google’s. Well, it’s not really original from an industrial design standard – Mate 20 Pro making a lot of significant technological leaps in other areas. In short, Huawei with Mate 20 Pro is on to a real winner and if you get your hands on one, you won’t be disappointed.